With Christmas just over a lot of us will probably have consumed too much sugar. The abundance of chocolate, sweet treats and alcohol all tend to lead to us over indulging during the seasonal period. A little bit of what we fancy is fine but too much sugar on a regular basis can lead to health problems in the future. 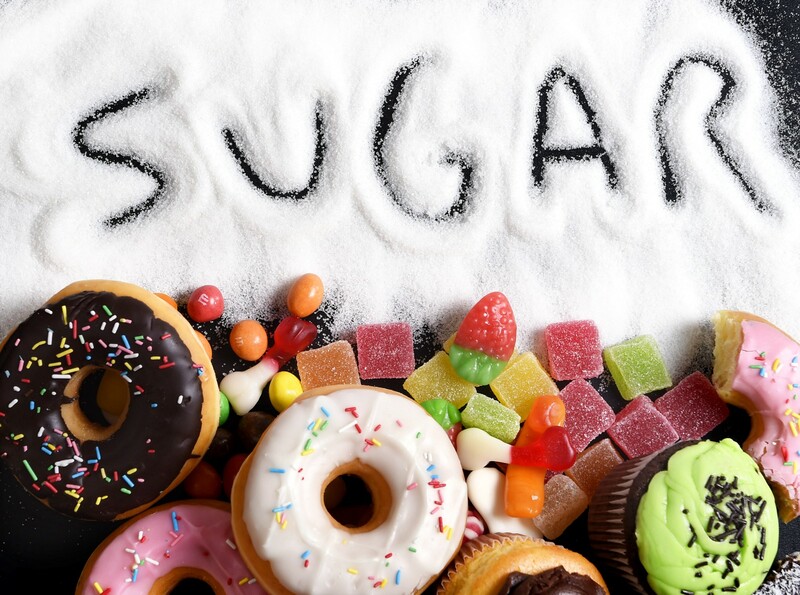 There is strong evidence which links a regular high sugar intake with obesity, Type 2 diabetes and some conditions such as Alzheimers, so it is important to regulate our sugar levels and also be aware of those hidden sugars that can increase our daily intake without us realising. Obvious sugars are chocolate, fizzy drinks, sweet treats and alcohol but the not so obvious sugars can be found in pasta sauces (often 6-12gr per serving), and granola bars, often thought as a healthy alternative to a chocolate bar can contain at least as much sugar as a chocolate bar! Low fat and diet foods which people often turn to in the New Year to try to lose weight usually have extra sugar included in them to improve taste and palatability. A good way of checking sugar content in these types of products is to check the traffic light system on front of pack. 1. Reduce sugar added to hot drinks; instead try sprinkling some cinnamon on your cappucino. Cinnamon can help stabilise blood sugar levels. 2. Avoid low fat diet foods; low fat foods tend to have more sweeteners added to them to make them palatable as the fat has been reduced. Try having smaller portions of the regular full fat versions. 3. Be wary of "sugar free" foods; These often contain synthetic sweetners don't help curb a sweet tooth. 4. Balance carbohydrate intake with lean protein like fish and chicken; Protein foods can help manage cravings as they slow down the process of emptying the stomach. If you need a pick me up then a handful of nuts or a small natural yoghurt will help balance your blood sugar. 5. Skip white bread and pastas and opt for the wholegrain versions. 6. Try not to drink too much fruit juice; 1 glass a day is a recommended intake, and try to keep alcohol and sweet drinks as treats at the weekend.